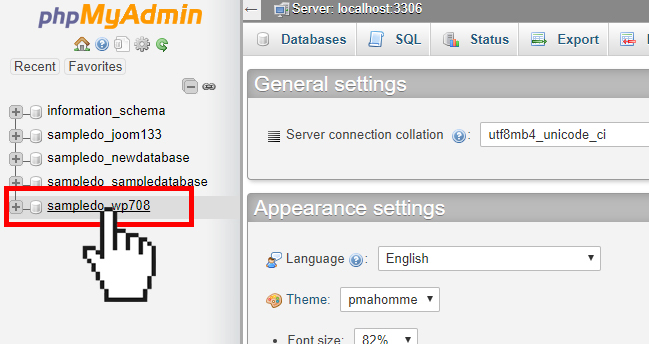 The main functionality of phpMyAdmin is to manage your databases. 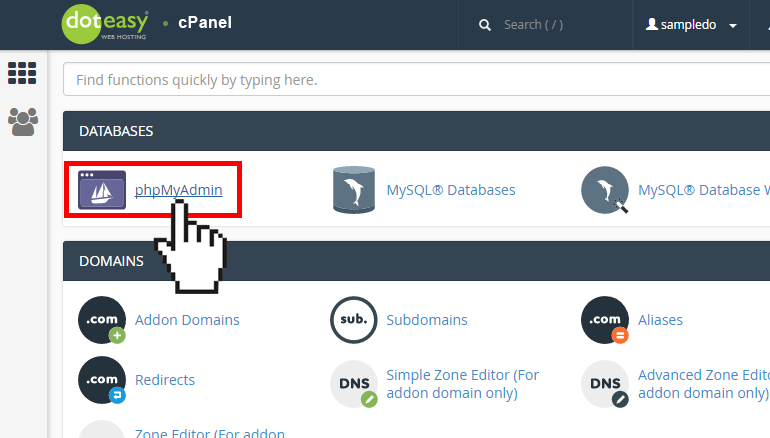 Click phpMyAdmin under the Databases section in cPanel. 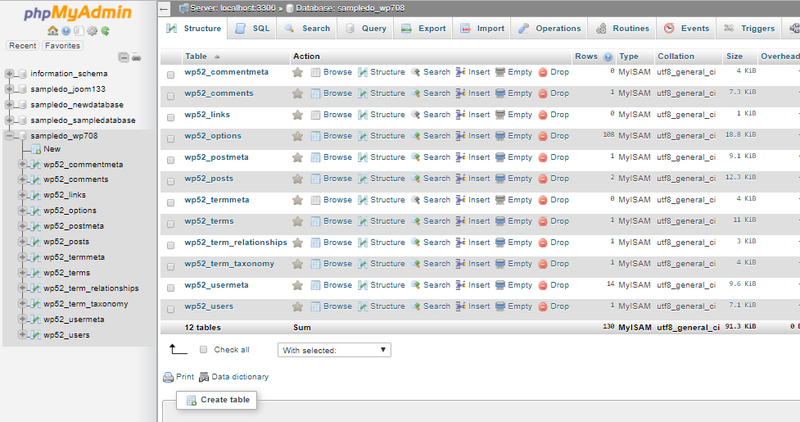 On the phpMyAdmin interface, you will see a list of your databases on the left panel. Click on the database you want to manage. In the new screen you will see a list of the database tables, the allowed actions with them, the number of the records, the storage engine, the collation, the tables’ sizes and the overhead. Browse - Only the tables with existing records can be browsed. When selected, a new window with the records list will be opened. Structure – When selected, a Structure window will open and you will see the database's table structure. Search – Using the Search action, you can generate a search query for the chosen table. Insert – Using the Insert action, you can insert records in your database table. Empty – The Empty action allows you to empty your database table, removing the data and keeping the empty table. Drop – The Drop action allows you to delete the whole table and all records stored in it.